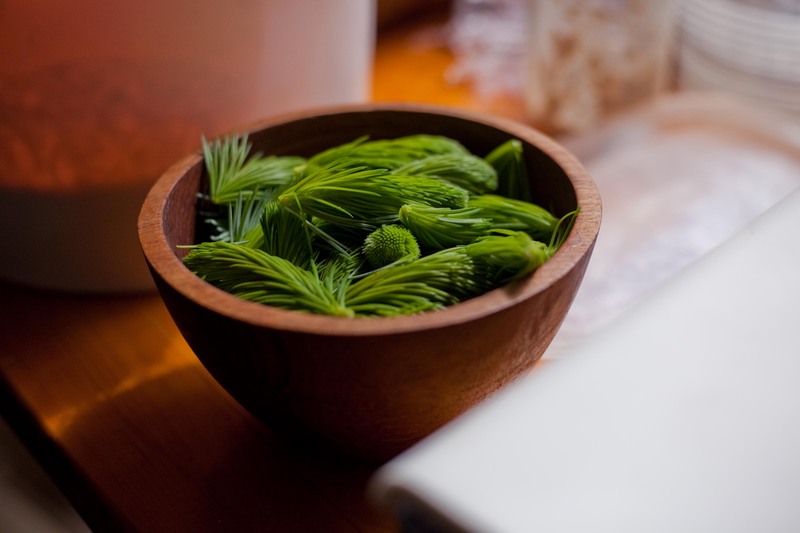 Since our high street opening in September 2012 Loaf has been involved in some inspiring and innovative food collaborations, from baking Art Bread with Eastside Projects, to Beer Bread with Stirchley Wines and Spirits and Brewdog Birmingham using a range of their selected bottled beers. 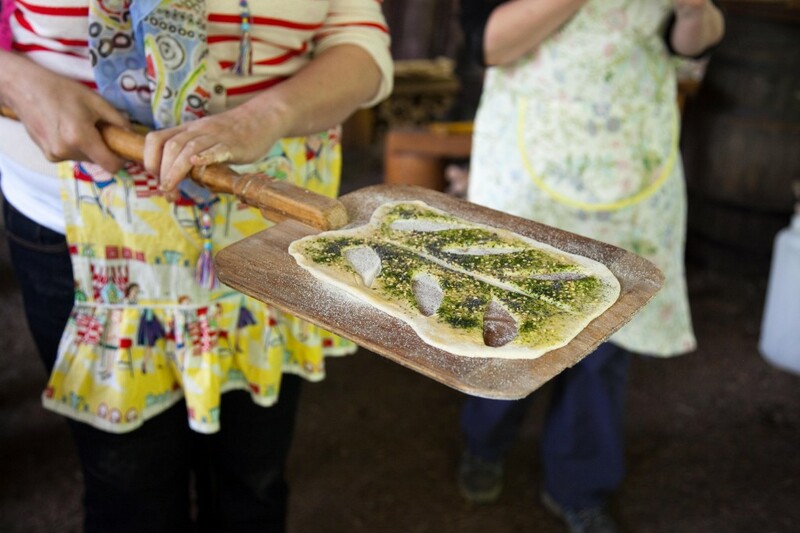 Our most recent collaboration has taken Tom even further afield, to combine wild food with Real Bread. 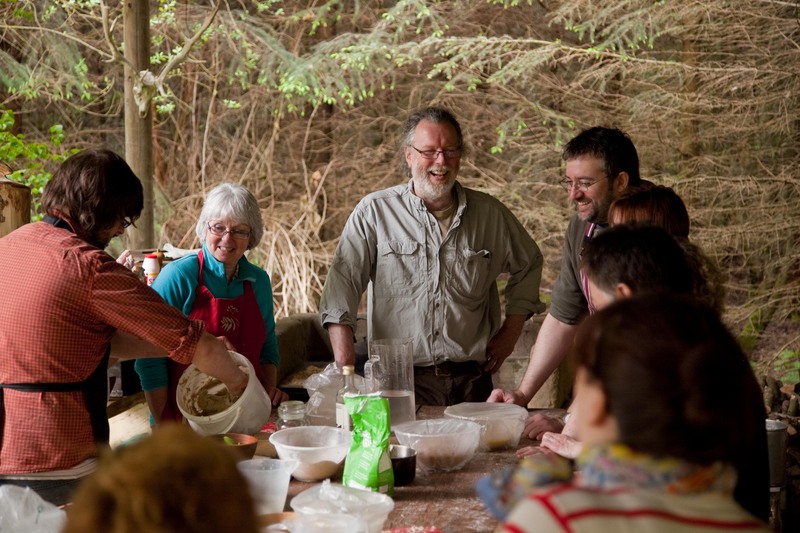 Over the years Tom has met many inspiring real food evangelists including Chris Bax, the founder of Taste The Wild. 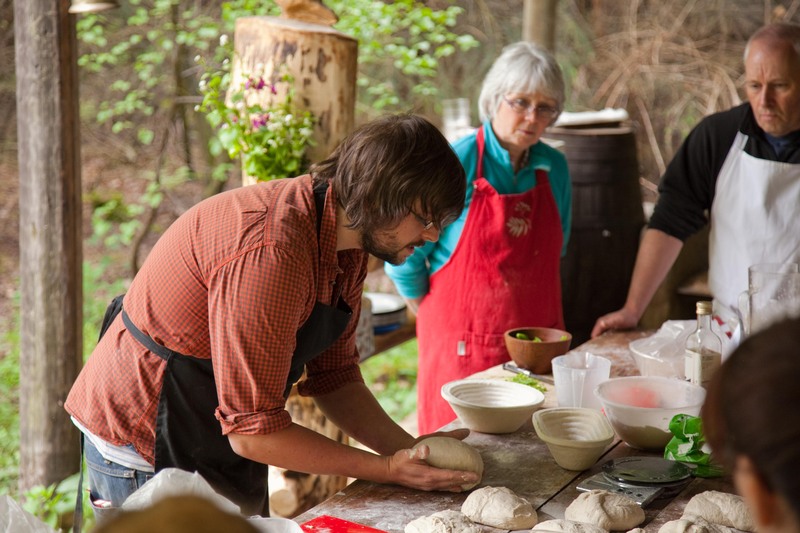 It is here in their 18 acre woodland in Yorkshire that Tom recently lead a hugely successful open air bread making course. 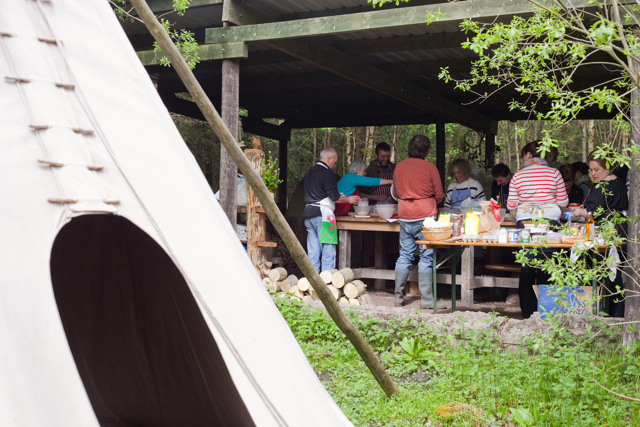 Going back to nature, this course with a difference included cooking in a wood-fired oven without any electricity or running water, and with endless wild forest ingredients to choose from. 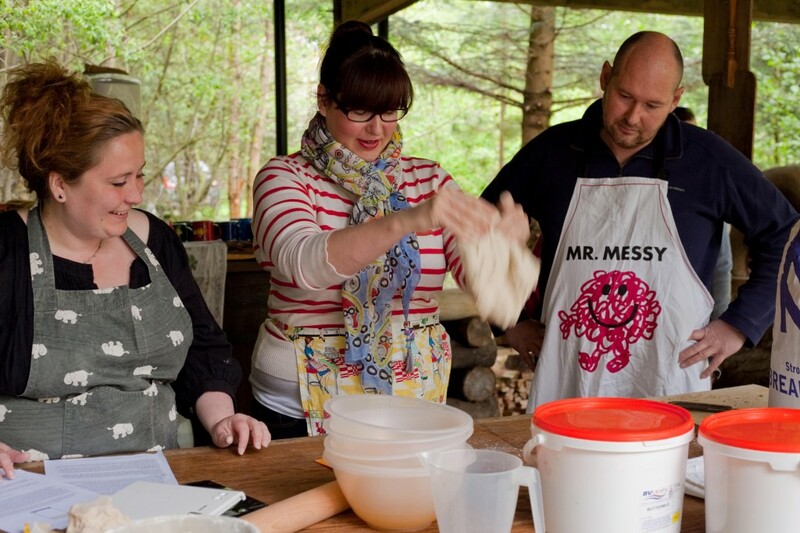 Transforming Loaf’s usual bread making course to this rural location, the results were equally impressive. A unique and enjoyable collaboration to be remembered, and hopefully repeated. 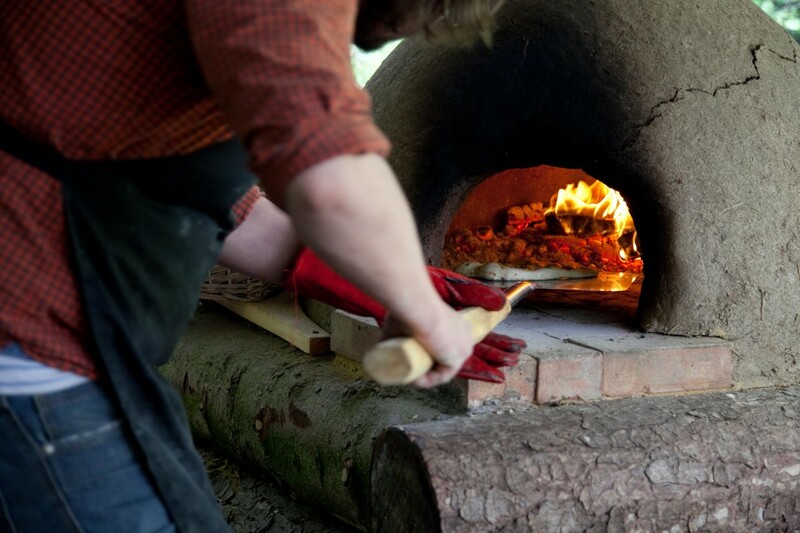 Earth oven bread baking in the forest.